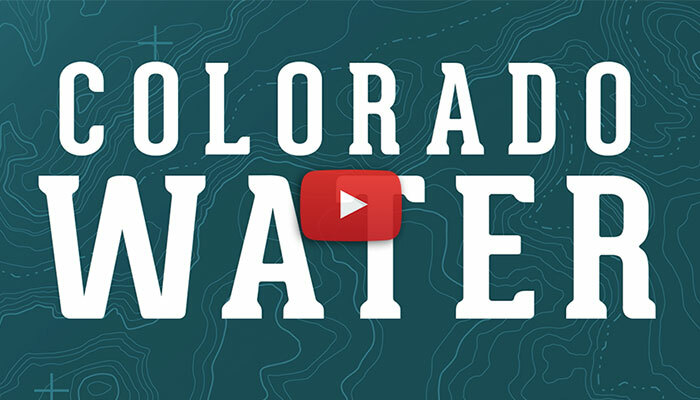 Colorado WaterWise - Sigler Communications, Inc.
Extensive research in Colorado showed many of the people who currently pay for or will be paying for water do not understand its value, how it gets to their tap and the finite nature of the resource. The state of Colorado was one of the few western states that did not have a cohesive public education campaign. Colorado WaterWise, a statewide trade association of water providers and organizations charged with educating the public about water conservation wanted to change that. Sigler Communications was retained through a competitive bid process to develop an educational campaign on the value of water and to encourage public behavior change as it relates to water use and protection. Based on existing research, we developed a communications toolkit for WaterWise members and partners in 2014 and then expanded the kit each year subsequently. The effort started with a brand for the campaign, slogan and logo. 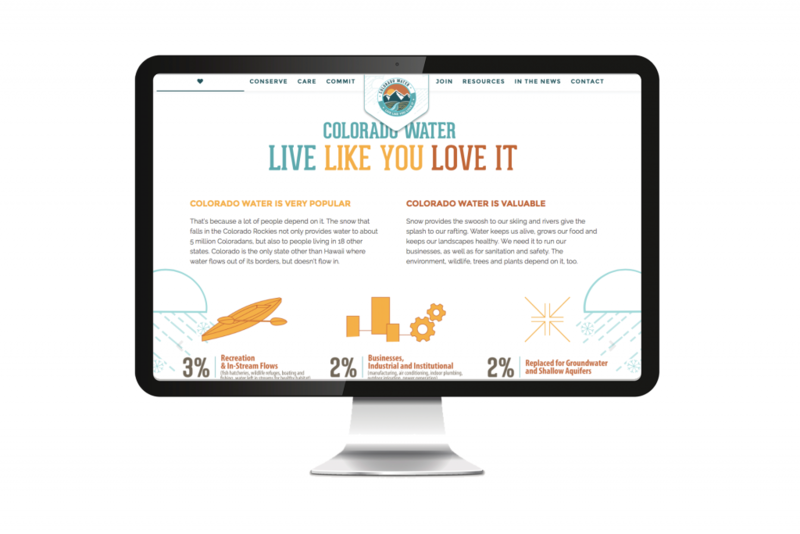 The client selected Colorado Water: Live Like You Love It because it reinforced the emotional connection people have toward Colorado water and reinforced the desired behavior changes for the campaign. 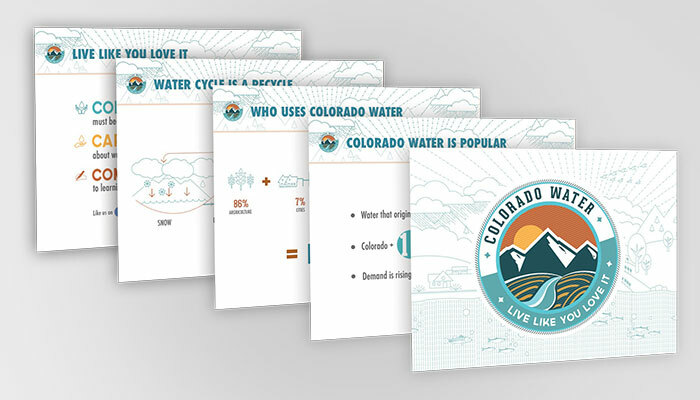 A toolkit was provided to members with professionally produced informational tools and cohesive messaging to help educate the public about the importance of water in our state and why it’s worth conserving and caring for. Prior to developing the tools, Sigler Communications developed a “brand” for the toolkit including a name, slogan and logo. We also created initial, basic tools that members could disseminate to their customers/constituents. 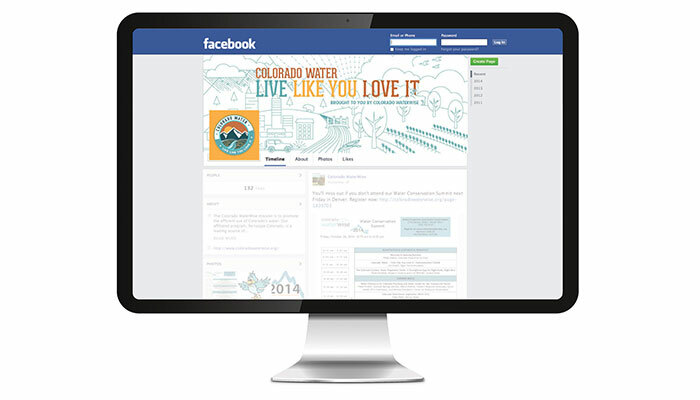 We coined the name, Colorado Water – Live Like You Love It. The project has been universally embraced and is being used by a broad cross-section of stakeholders including: Aurora Water, City of Boulder, City of Brighton, City of Thornton, Colorado Springs Utilities, City of Fountain, Fountain Creek Watershed Flood Control and Greenway District, Loveland Water and Power, Northern Water, One World One Water Center, Platte Canyon Water and Sanitation, Pueblo Board of Water Works, Special District Association of Colorado, Ute Water Conservancy District and Western Resource Advocates. 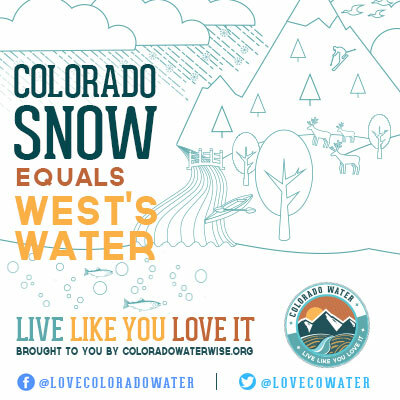 The Colorado Department of Public Health and Environment and U.S. EPA have endorsed the Colorado Water – Live Like You Love It campaign. 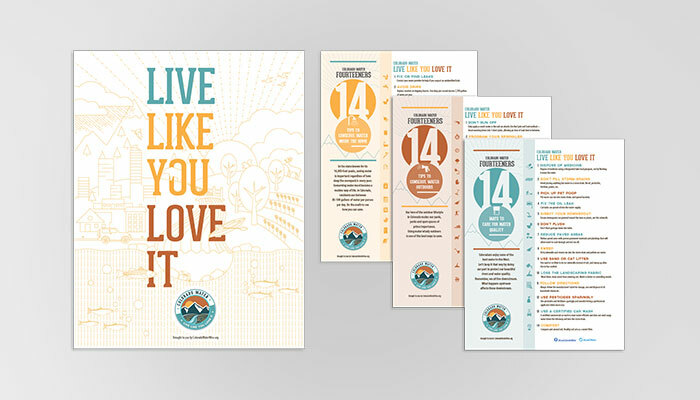 The campaign received a national marketing/design award – The Davey Awards – for “Best of Show” for an integrated campaign.